Our transport is provided by two fully accessible Mini Buses and a Community Car Scheme. We provide a door to door service for elderly and disabled clients. Just ring the office with as much notice as possible to book your transport. This could be for hospital, doctor and dentist appointments; or for social or shopping trips. The Mini Buses are also used to provide regular local bus services and monthly bus excursions. 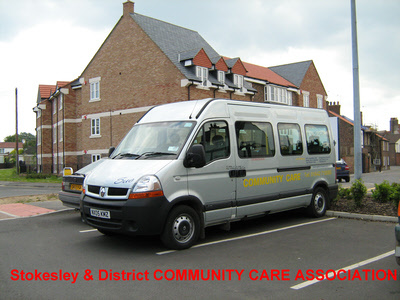 We have a downloadable leaflet promoting the Stokesley Community Care Transport Scheme. If you need Adobe Acrobat to make use of this free download, you can download the Adobe Reader for free. We also have a downloadable leaflet for the Community Car Scheme in Richmondshire.